Are you Prepared to Meet Holidays Rush? Holiday season around the corner and every business expects more customer ultimately more sales. Indeed holiday season is the busiest time for retailer as they are make changes in inventory to meet rush and promotion of new products. Some businesses start holiday shopping plane right after August with fall season but mostly start their marketing campaigns with Thanksgiving and Halloween. Is your business ready for holiday shopping season? Not yet prepared, get hurry. Give final touches to your promotional campaigns and make sure your store ready to meet rush, packed with all interesting themes, gift items and festivities which attracts buyers. Give your buyers the reason to click on buy it now button. Below tips and checklist ensure you that your business ready to come up to this holiday rush. Check your last year holiday season report this can help you to figure out the medium from where most holiday traffic come and leading to conversion. You can easily make analysis, Google analytics data can provide you quick and deep reporting bout whether it was social media marketing, email marketing, paid or organic campaign. Stick to what work best for your business. Discount is not enough make you offer something interesting because the page tagging with special offer, discount or something like that is most probably the top conversion generating landing pages for any website during the holidays shopping. Why not try out yet. Build it now and share interesting special offers which you potential visitors willing to buy. Eye-catching graphics with interesting offers will grab visitor attentions. Start scrambling with some Free Giveaway offers because this is the season of giving. Promotional email marketing is all times favorite marketing tactic for marketers to improve conversions. Holiday season provide good chance to get customer attentions because consumers in good buying moods. If you are already using this but during peak season you should use it with slight changes. Make your email more interesting with good quality content and graphics and send it more frequently because waiting too late may lead you to sever disadvantages. Be the first one to reach your potential customer. Online Mobile shopping has totally change the online shopping experiences and after Google mobile friendly algorithm the importance of responsive websites increase even then before. If your website still not mobile friendly its means you are losing great % of mobile shoppers. Hire some Professional web designer and developer make you website mobile responsive so you visitor can reach you products easily. Tap into mobile user community because during holiday rush visitors comes with buying mindset so remove all annoying hurdles of online shopping from your website and convert your visitor into buyers. Get in touch with your customer through social media sharing. During holiday season you can schedule all you’re posting in advance. Make use of special offer images, hash tagging and direct massaging via Facebook, Twitter and Google + to interact with your potential buyers. Make sure using of specific holiday keywords terms in hashtags and holiday offers content so people can easily reach your destination page. Content is the king for any online marketing campaign. Writing content is not enough, it all matter’s how to viral your content online so it make more engagement and drive more traffic to your website. Use BlogSpot or WordPress blog to make you content viral. Blog on website can also helpful in ranking improvement. Write content about your latest holiday offers and share on different content sharing mediums. Allow commenting and encourage other writer or visitor contribute you blog. Take good care of all shipping and payments issues because all these annoying hurdles can leads to drops in sales. Customers in buying mode and like quick, fast and reliable shopping so don’t keep your customers waiting. Be quick in response, online support and after sale services will build customer trust your and encourage repeat sales. Fine tune all you business promotion strategies and use them at right time because waiting too late might lose potential buyers and revenues. Check the above list and make sure you business in good run mode before the peak season. Wish you a very happy holiday sales. 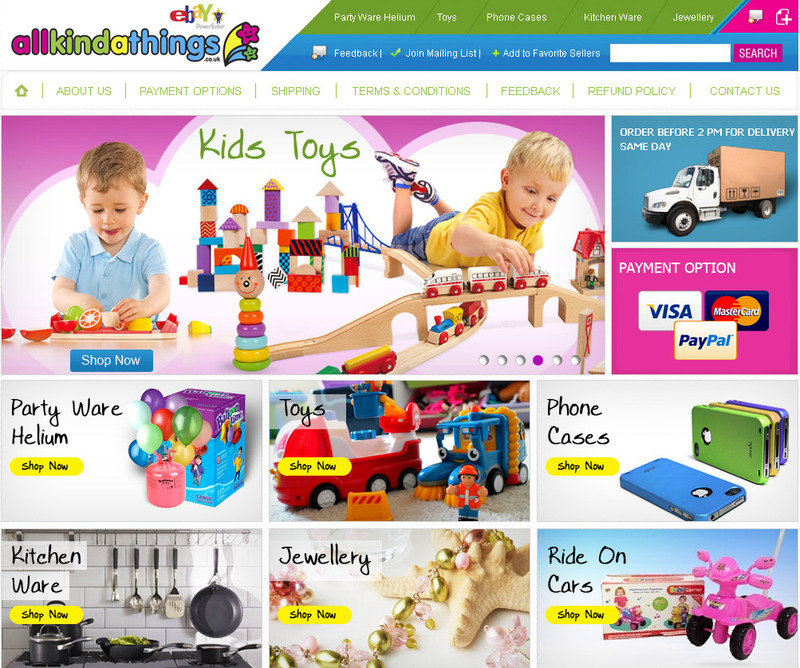 Is your eBay Shop ready for Selling big in this Holidays? Thanksgiving, Christmas and New Year are just around the corner, which means everyone will be rushing to the stores to get their shopping done. These occasions are known for gift giving and that is why everyone is in a hurry to buy the best possible gifts for family and friends. However, the prospect of getting caught up in the rush of other shoppers can turn the best of gift giving intention into a nightmare. But in spite of this, retailers consider this time of the year to be their peak season. So how is everyone getting their shopping done after all? Well the answer to this is that online shopping has finally caught on and over the past few years it has become the most preferred way of shopping for a majority of buyers. When it comes to shopping online, there is one name that truly stands apart from all others, eBay! eBay is one of the most popular online shopping sites in the world and if you are savvy enough to have an eBay Shop, then what is stopping you from make the most of the coming holiday season. Here are a few fool proof ways of increasing your ebay sales during the holiday season and closing the year on a very positive note. Online shopping is not much different from real world shopping, the only difference being that people do online shopping from within the comfort of their homes. So just like you would make your real world store as attractive as possible to gain customer attention, you need to do the same with your online ebay store. To begin with get your ebay store custom designed from professionals like estoresellers. The benefits of having a custom designed store will manifest themselves in the high profits you will be making after a professional facelift. Although its winter, but the holiday season is all about celebrations and warmth, so decorate your estore accordingly. Make sure that apart from your own signature colors, your store has the festive look of Thanksgiving, Christmas and New Year. The more festive it looks the more customer will be attracted to it and thus more sales generated. A lot of stores on ebay use its generic template, since they are easy to use and readily available. But a generic look can not set you apart from thousands of other online retailers. To get noticed you need to have your own unique look, which is only possible with a custom designed ebay store. A custom designed eBay store will not only give your store an edge over your competitors, it will also come across as more professional and inviting to visiting customers. Once you have set up a store worth talking about, its time to set the rumor mills into motion and start making some noise to attract customer attention. During the holiday season join the league of retailers on social media websites to promote your business through its various channels. It is very easy to get the word around about seasonal sales and such on the social media. For example if someone likes what they see on your stores social media page, they will tend to talk about it with our users and thus free advertising gets around, thanks to word of mouth means. This of course tends to increase the traffic to your ebay store of potential customers who want to see it for themselves in order to believe what they heard. Another great benefit of giving your eBay store a custom designed facelift is that, the more people visit your newly designed store the more feed back you will get about what people are looking for online. When people visit eBay stores they leave feedback about their overall experience or service. This is beneficial since good feedback left by previous visitors helps guide new customers towards your store. So pour all your creativity into designing your store to gain maximum attention and offer quality service and products to get more positive feedback. This will not only build goodwill for your ebay store among customers but help build trust among them and future potential customers as well. So whichever way you look at this, a custom designed ebay store for the coming festive season could mean more than just a visual facelift. In fact it could be just the financial windfall your ebay store was looking for. We are about to enter into to last month of the year – December which happens to be the busiest shopping month of the year because of the holiday season. There are many events to celebrate such as Christmas and New Year. People from different folks if live wait for December because this is a great occasion when they can meet with their friends and family. Even before the start of December, people turn to online stores for buying things for themselves and their loved ones. Businesses wait for the holiday season because their sales are more than that of any other month of the year. Both small and large business should prepare for the holiday season because they can expect large volume of customers. Even if you have a small business store on eBay, getting ready for the holiday season can be very profitable for you. For many people, eBay store is the best and cheapest shopping destination. If you have a striking eBay shop design, it will act like a magnet that attracts lots of customers. The products you are selling should be displayed in an appropriate way so that people could easily find what they are looking for. This helps you making huge profits during holiday season. You should make a new eBay store design and launch it at the end of November. Your customers should see something new at your store. Apart from new products, fresh store look is very important. If you haven’t made any plans for new store design, no need to worry as you can employ professionals who can built your new looking eBay store in a blink of an eye. eStore Seller is one of the most prominent service providers to give a unique look to your eBay store. If you want to sell holiday gifts online, you should have a well-designed eBay store. It can bring an enormous increase in your profit. An attractive eBay Shop Designs can bring lots of customers to your store and increase your profit. The simple eBay store formats make your store more recognizable and let you make many dollars. During holiday season, gifts are in great demand. Large folks of people turned to online stores for buying holiday gifts for their loved ones. If you have an attractive eBay store that sell holiday gifts, you are much more likely to earn lots of profit this season. If you have various types of gifts, make sure that they are being displayed in your store in a convenient manner. Gifts can be classified according age, relationship or any other way. When all of the gifts are conveniently displayed at one place, you are that much likely to generate more profit. Having a customize design of your eBay store is a key to success apart from nice layout. eBay store designs portfolio helps a create the best store that can brings you thousands of customers. As you are dealing in numerous types of holiday gifts, it’s important that you divide then into varies categories so that it’s easier for shopping the buy their desirable stuff. It’ll also give a great look to your store. You can create as many as 300 different categories of products. If you want to create a unique eBay store, you should employ the services of professional eBay store builders such as eStoreSeller – your online sales partner. They will ensure that you have the best eBay store that deals and holiday gifts and as result your profit is higher. Hiring professionals makes your holiday shopping hassle-free indeed. Holiday shopping season has started with clash to get noticed by businesses among their target customers is at its peak. Buyers will be spending millions of dollars this shopping season, so an online store should be looking to increase its sale by using all of the possible means. The tactics being used by an online store is going to decide their fate. Using eCommerce store designs such as Magento eCommerce store design is highly recommended. The month of November is going to be the busiest shopping month of the year with so many shopping events in prospect such as Black Friday, cyber Monday and of course Christmas. Poor communication between business and its target market can be a nightmare for any online business. You should think ahead to make sure that you are communicating with your customer in every possible way. Resolving problems of your customers can be so easy if they can connect with you easily. A good communication with your customers can boast your sale tremendously. Having a good template design is an essence of connecting well with your target market. Many businesses have their virtual existence on eBay in an attempt to grab more and more customers. 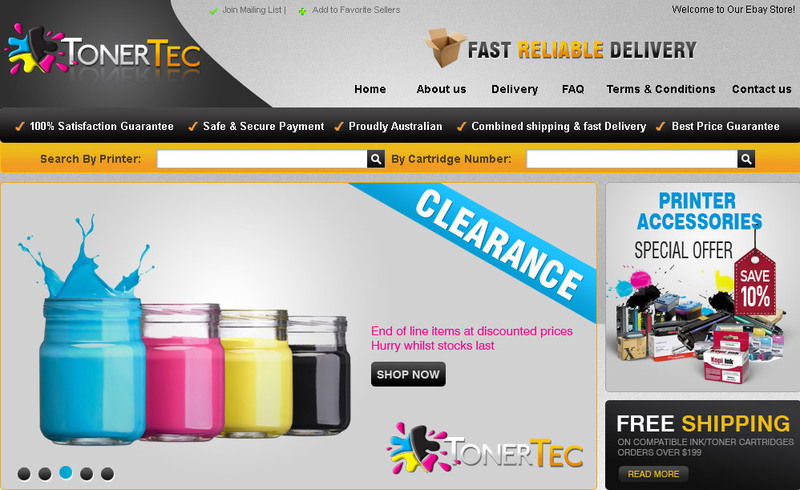 eBay store design templates give an attractive look to your store and increasing your sale enormously. The busiest shopping period is the last two months of the years and your customers will be surrounded by all sorts of promotions and money saving deals. Therefore, it’s imperative that you stand out among your competitors. Have a look at your site and think: what can make it different from other shopping sites? Why should your client choose to shop from your site? Make sure your site attract more customers than your competitors. There are many things to consider such as offering catchy deals, gift cards, free shipping, etc. Using Amazon store design portfolio can make your site more noticeable and in turn, increasing your profit. Copyright © 2012 eStoreSeller.com – Any reproduction, retransmission, or republication of all or part of this blog post is expressly prohibited.